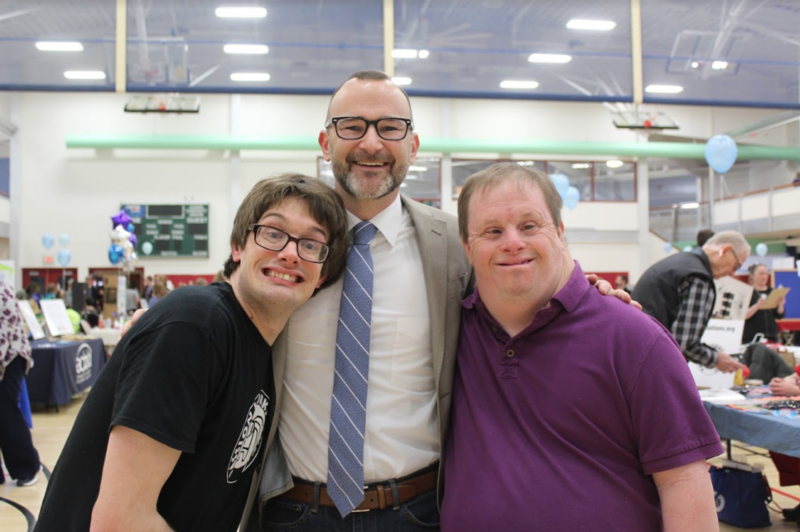 Developmental Disabilities Awareness Month continued this week with a festival celebrating community members and resources available for individuals with disabilities. The event celebrated its “biggest and best” festival in 15 years on Tuesday at the Athens Community Center, said Athens County Board of Developmental Disabilities Supt. Kevin Davis. About 45 organizations set up tables to showcase various services. This year’s theme was technology, with organizations featuring a wide variety of technological advancements made to help individuals with developmental disabilities live independently, such as in-home security cameras. Other organizations educated the general public about their services, such as transportation services, the Athens Public Library and various health centers. “It’s good to raise awareness for people in the community — especially those with disabilities — about all the wonderful services these agencies have to support them,” Davis said. The event spanned two hours and included a performance from the Athens County Community Singers — a nonprofit choral group for all people with and without disabilities which is led by director Stephanie Morris. Tuesday’s festivities were part of a series hosted by ACBDD to recognize March as Developmental Disabilities Awareness Month. The theme this month is “Integrate Athens,” meant to be a reference to ACBDD’s new Office of Integrate Athens located at 9033 Lavelle Road. An open house at that office is planned for Tuesday, April 2, from 3-5 p.m. Originally published on A1 of The Athens Messenger on March 21, 2019. Previous Episode #2: What’s Good during Women’s History Month? Personal update: I am a White House Correspondents’ Scholar! Episode #2: What’s Good during Women’s History Month? Throwback to when my pale Irish complexion betrayed me and I got sunburnt... in Ireland... so happy St. Patrick’s Day I guess?